the American Quarter Horse. 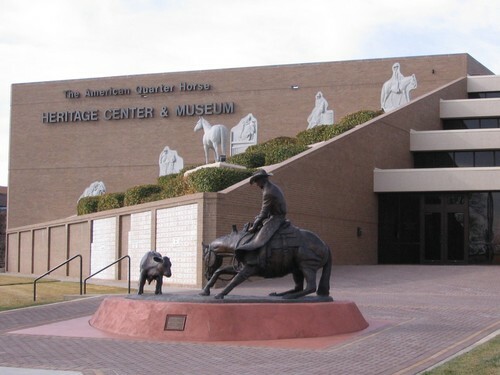 The AQHA organizes numerous competitive events, sponsors educational programs, and houses the Hall of Fame and Museum of the American Quarter Horse. Currently, the AQHA has over 350,000 members. in establishing a breed registry should meet in Fort Worth to discuss and act on the idea. On March 15, 1940, seventy-five people showed to discuss Denhardt’s proposal. The result of that meeting was the forming of a non-profit stock holding association to be the registry. During the first meeting, thirty-six people bought stocks, and the board of officers and directors were elected. The association was the sole registry for American Quarter Horses for the first five years. Controversies over how many non-Quarter horses should be allowed in, and which horses should be registered arose. Some breeders also felt that it was unfair that only stock owners were allowed to vote. In addition to the disputes, some of the racing interests, who wanted more thoroughbred blood to be added to the Quarter Horse, felt that the AQHA was too strict.